In January, as 13 new trees were being planted in Tech's triangle green space in the center of campus, the Institute also celebrated 11 consecutive years of earning its Tree Campus USA Certification. The two trees — a 106-foot-tall willow oak located just south of Tech Green and a 58-foot-tall water oak located at the northeast end of Fitten Residence Hall — are failing and have both been deemed very high risk by an independent arborist. Georgia Tech Facilities Management Fleet Services has achieved Sustainable Fleet Accreditation from the National Association of Fleet Administrators (NAFA). The APPA Award for Excellence is the industry's highest honor for outstanding achievement in facilities management. In spite of this spring’s erratic — and at times volatile — weather, construction projects have continued apace cross campus. Georgia Tech has been honored with 2017 Tree Campus USA® recognition by the Arbor Day Foundation for its commitment to effective urban forest management. Georgia Tech has been re-accredited with a 4-star rating as part of the Professional Grounds Management Society’s (PGMS) Landscape Management and Operations Accreditation. This fall, the Office of Solid Waste Management & Recycling, Building Services, and the Office of Campus Sustainability launched a pilot composting project in the Roger A. and Helen B. Krone Engineered Biosystems Building (EBB). Jacob “Jack” Davis has traveled to the southeast African nation of Malawi almost every summer since 2011. But, not for vacation. Christopher Blackburn, a doctoral student in the School of Economics at Georgia Institute of Technology, presented a paper titled “Do Pilot Programs Alter Non-participant Behavior: Evidence from a Green Building Standard” at the Association for Public Policy Analysis and Management (APPAM) 39th Annual Fall Research Conference on November 2 - 4, 2017, in Chicago, Illinois. This fall, look for construction to wrap up on a few long-term projects, for short-term projects to take shape, and for new work to begin. Look for construction to wrap up on a few long-term projects, for short-term projects to take shape, and for some new long-term work to begin. The existing elevator in the Pettit Microelectronics Research Center (MiRC) is undergoing renovations and machinery replacements. Renovation will include 17 classrooms and the associated public spaces and lobby on the first and second floors. Tech earned recognition as a Tree Campus USA for 2016 from the Arbor Day Foundation. This semester, projects include infrastructure upgrades, new buildings, and a facility that is on the national radar for its net-positive energy use. Earlier this year, the Student Move-Out Recycling Program evolved to not only collect recyclable waste and donations, but also help feed hungry students. In an effort to conserve water and help reduce the impact of the severe drought conditions in North Georgia, Facilities Management’s Landscape Services has proactively stopped all noncritical irrigation on campus. The Van Leer Rotunda and two story connecting the wing to the main building will be closed through January of 2018. The Dorothy M. Crosland Tower closed for nearly two years on December 31, 2015. Interior abatement has begun in some areas and pedestrian detours will change throughout construction phases. The PATH Foundation, with whom Tech is partnering on the project, has stated that construction will result in vehicle traffic changes beginning Tuesday, Nov. 8, at noon. Today, the fences around Tech Green are being removed, and the campus community will be able to once again enjoy this central green space — just in time for Homecoming Weekend. Phased detours of pedestrian traffic are planned. Check back for updates. For a third consecutive year, Georgia Tech is getting the help of woolly, four-legged friends to help control one of the most invasive plants in the South — the dreaded kudzu. Several projects were completed over the summer, while a few continue into the fall. Throughout the summer, Facilities Management’s Design and Construction team was hard at work making sure that projects were staying on schedule, while also anticipating and designing upcoming projects to make the campus even better for staff, faculty, and students. Chatman is on a personal and professional mission to reduce paper usage — and that’s above and beyond her dedication to Georgia Tech’s green cleaning program. Three initiatives demonstrate efforts in this department to reduce waste and optimize operations. Beginning July 1, Stamps Health Services will be renovated for improved patient efficiency. Meagan Fitzpatrick, biosafety officer in Environmental Health and Safety, initially set out to be a full-time researcher. Beginning June 1, food items will be allowed in classroom spaces reserved for events. With a smaller population on campus in the summer months, it is often a season of transformation, as many infrastructure and construction projects are underway simultaneously. Effective July 1, any Georgia Tech unit owning or purchasing LSVs or golf carts must ensure these vehicles are street legal and register each of them with Georgia Tech Fleet Services. Georgia Tech’s arboretum status — official as of March — was an organic development stemming from a tree inventory in 2012. The Georgia Institute of Technology has received the U.S. Department of Education Green Ribbon Schools (ED-GRS) recognition award. The Holland Plant, located at 680 Power Plant Drive behind the A. French Building, has been producing steam since opening in 1917. A registered architect and avid watercolorist, Frank Lamia is associate director of Construction Services in the Design & Construction Department of Facilities Management. The repairs require significant digging, which provides an opportunity to enhance the pedestrian experience through the primary north/south corridor of campus on Atlantic Drive. Several upcoming construction projects will bring upgrades to high traffic areas of campus. Georgia Tech is one of only six higher education campuses in the nation to receive the GS-42 certification. 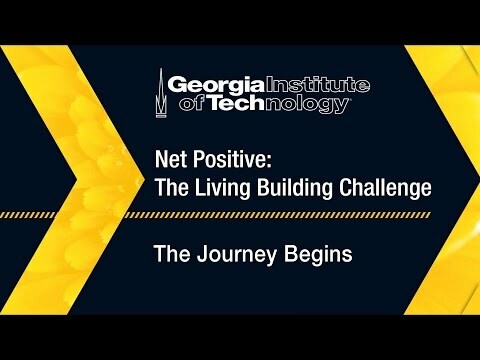 Advancing Tech’s master campus plan, the Living Building at Georgia Tech will demonstrate the most advanced measures of sustainability possible in the current built environment. American School & University recently announced that Georgia Tech receives top honors in the higher education category for the Annual Green Cleaning Awards for Schools & Universities. Campus leaf-collection supports mulch compost development and more effective operations. Compost will be used in our landscaping beds year-round. The University System of Georgia Board of Regents (BOR) presented several awards to Georgia Tech during its 2015 BOR Facilities Conference last Friday, November 6 in Athens, Georgia. Beginning this Saturday, several campus trees will be removed due to failing health and safety concerns. Five trees are in the process of being removed throughout the campus. These removals will be complete by the end of October. 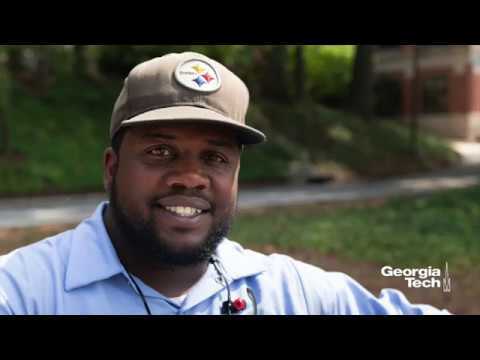 Managing our campus trees and the urban forest that they create is a responsibility that is taken very seriously by the Georgia Tech Landscape Services team. We are always sad to have to remove failing trees, but all are replaced, per caliper inch, according to our Tree Management Plan. Landscape Services lost a beloved teammate when Andrew McKinney died this month. Georgia Tech’s most recognizable landmark will undergo a $7.5 million renovation beginning in a few weeks. Since the beginning, Grant Field has been a work in progress, and the stands have never been completely torn down and rebuilt. At its August 12 meeting, the Board of Regents approved 2016 health care benefit plans, new professional degree programs, endowed school chairs, and several faculty appointments for Georgia Tech. Many construction projects were completed over the summer. A few other will continue into the fall. Georgia Tech’s campus is home to many research laboratories, but how often is Tech itself the subject of research? Sam Aral, Ivan Allen College (IAC) facilities manager, was awarded the Georgia Tech Building Manager of the Year at the 2015 Building Manager Symposium hosted by the GTPD Office of Emergency Preparedness (OIP) and the Environmental Health and Safety Department (EHS). The renovations of Harrison Square and Hinman Courtyard, beginning March 16, will provide ecological improvements and more open spaces to unify the Georgia Tech campus. The Georgia Institute of Technology earned three out of a possible four stars from the Professional Grounds Management Society (PGMS) Landscape Management and Operations Accreditation program. Four degree programs and two construction projects were addressed at the Board of Regents meeting at Georgia State University on Jan. 6. Projects on Cherry Street, near the Library, along Techwood, and at the Engineered Biosystems Building are nearing completion. It’s difficult to imagine a snow or ice storm hitting campus, given the warm temperatures we've had lately. But rest assured that if one does, the people responsible for keeping Georgia Tech up and running are ready. Students and administrators discussed safety issues around campus as they walked together after dark. “Don’t ever touch that whistle.” These are the words that Harold Cash has lived by since he arrived at Georgia Tech about 18 years ago. When Georgia Tech visitors enter campus, they will soon be greeted with sleek, new signs. Many construction and maintenance projects were completed during the summer or will wrap up this fall. Please pardon the disruption as Georgia Tech tunes and repairs the main boilers July 23-25. When it comes to memorable moments while working at Georgia Tech, Warren Page is quick to mention the “snowstorm o’doom” (as Creative Loafing called it) that crippled Atlanta in 2011. Institute and State of Georgia funds will provide new windows. Students can participate in the Campus Conservation Nationals leadership team for Georgia Tech. 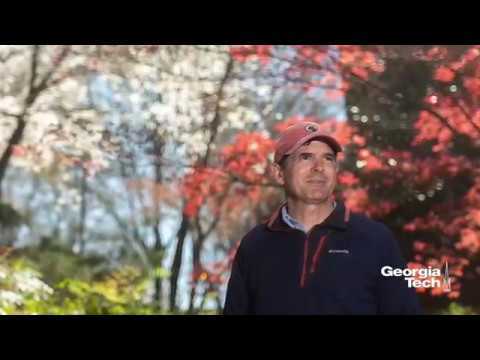 For the fifth consecutive year, the Arbor Day Foundation named Georgia Tech a Tree Campus USA school for its commitment to effective community forestry management. SGA convenes staff and students to walk campus and identify areas for safety improvement. The Campus Tree Advisory Committee is looking for student members. The guys at Georgia Tech may not have noticed, but there is something different about the restrooms on campus. Three hundred and eight automatic, one-pint urinals have been installed throughout the Institute. For more than 10 years, the Office of Facilities Management has been testing low flow water fixtures to reduce the campus’ water consumption. Many of the newer buildings on campus have energy and water efficient bathrooms with automatic faucets and low flow toilets, and now several of the older buildings will be receiving these upgrades as well. What started as an effort to keep a stray cat from being euthanized turned into a way of life for Michael Leasure. For the fourth consecutive year, the Arbor Day Foundation named Georgia Tech a Tree Campus USA school for its commitment to effective community forestry management. North Avenue Apartments are the latest addition to the Institute's list of LEED Gold-certified buildings. With the work on the stadium side of North Avenue almost complete, Facilities is moving full steam ahead with completing the same upgrades to the other side of the road. Georgia Tech Facilities is replacing steam and condensate lines — some of which are more than 50 years old — under Bobby Dodd Way and under sidewalks and steps from the library’s main entrance down the steps between the two libraries to Architecture East. The Princeton Review ranked the Georgia Institute of Technology’s athletic facilities tops in the nation, according to their annual Best Colleges survey. With a little bit of help from a $6.7 million award from the American Recovery and Reinvestment Act (ARRA) and a newly formed Energy Conservation Team, Georgia Tech Facilities is taking on the challenge of improving energy efficiency on campus. The Zelnak Center recently became the Institute’s fourth building to earn LEED gold certification. Lawsuits and legislation are top of mind for the green building sector. The intersection of 4th Street and Research Drive — between the Rich Building and Architecture Building — will be repaved, closing to pedestrian and vehicular traffic for approximately one week. For its commitment to the development and maintenance of a healthy campus landscape, Georgia Tech has been selected by the Arbor Day Foundation as one of six universities to receive a recognition gift of 75 new trees. The closing is necessary for crane set-up and electrical vault installation. Buildings in Georgia Tech's new Biotechnology Complex were designed to encourage interdisciplinary collaboration by bringing together faculty members from different departments into "research neighborhoods" that focus research strengths on specific areas.